FxFactory and Dashwood Cinema Solutions, creators of Mac OS X apps and post production plugins, today announced they have partnered to debut updated and new 360­-degree virtual reality post­-production software at the 2016 NAB Show in Las Vegas next month. In booth N7922 in the LVCC’s Virtual Reality Pavilion, stereoscopic and cinematic 360 filmmaking expert Tim Dashwood will demonstrate the newest tools available in his 360VR Toolbox plugin suite for 360 video post production workflows, including a brand new stereoscopic 3D 360-degree slit­scan rendering plugin, stereoscopic 180° fisheye support, and a brand new consumer ­focused plugin suite for the budget­ minded cinematic 360-degree “virtual reality” (360VR) video producer. “360-degree video, and the immersive virtual reality experience, is clearly the hottest topic at NAB 2016; everyone is talking about it,” said Tim Dashwood, founder of Dashwood Cinema Solutions in a statement. 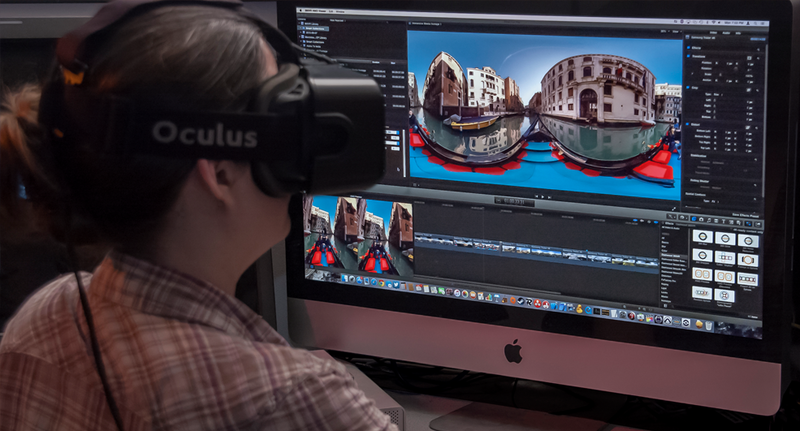 360VR Toolbox previewed at NAB 2015 as the industry’s first software solution capable of monitoring the live 360-degree video output of Premiere Pro, After Effects, Motion and Final Cut Pro in real­time with the Oculus Rift DK2 head­mounted display (HMD). Through a successful beta test period, with evaluation and feedback from industry­leading 360VR production companies, Dashwood has added many new plugins to the suite that are essential in the post­production workflow of professional stereoscopic 360VR video. from 360VR sources, output of stereographic “little planet” or cubic “skyboxes” from 360VR sources, and spherical blur, sharpen, glow and noise reduction filters. New to the suite at NAB 2016 are plugins that can convert stereoscopic 180-degree fisheye video sources to stereo 360VR equirectangular “lat­long” projection, or stereoscopically project still images or video sources into a spherical 3D 360° slit­scan rendering environment, a first for the 360-degree video plugin industry. Dashwood will also be demonstrating some new enhancements currently in development for 360VR Toolbox, including a stereoscopic 360-degree particle emitter and a virtual editing environment within a head­ mounted display. 360VR Express is a feature­limited version of the 360VR Toolbox plugin suite designed specifically for processing video or images from consumer­friendly 360VR cameras like the Kodak SP360 or Ricoh Theta S.
360VR, fisheye to spherical conversion, seamless 360 noise ­reduction and more. The 360VR Toolbox public beta is available now on the FxFactory plugin store for Mac OS X as a free trial and retails for $1,199.00 USD. It will be officially released in April 2016. 360VR Express will also be available for Mac OS X in April as a free trial and will retail for $119.00 USD.